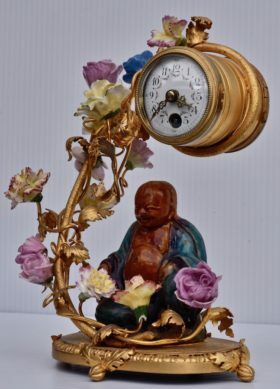 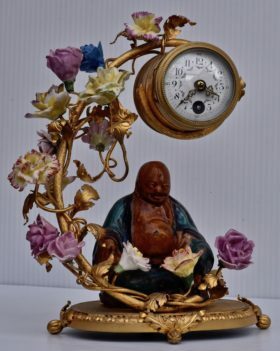 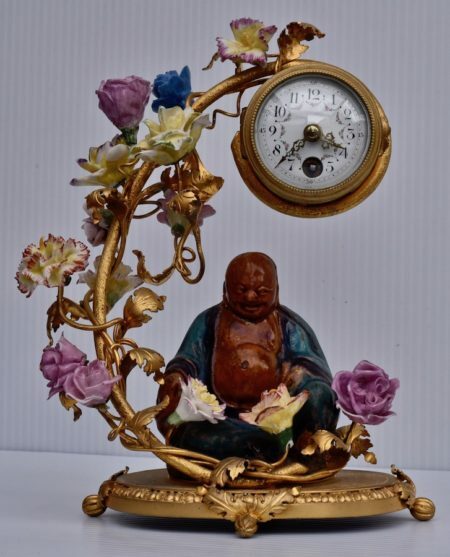 This winsome Meissen style clock features a Buddha meditating peacefully among porcelain flowers spilling gracefully from an overhanging gilt bronze branch. 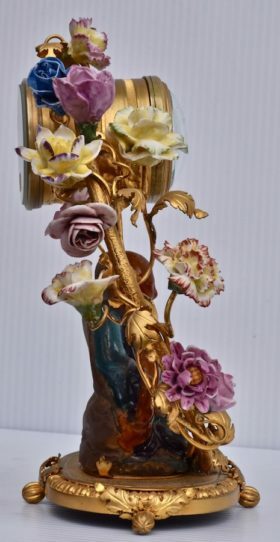 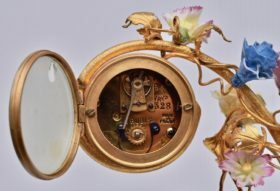 The small clock with its porcelain and hand painted dial is supported within the curled end of the branch. 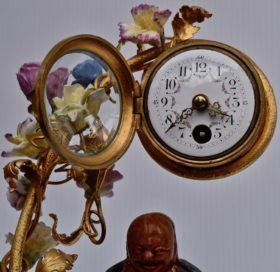 An 8 day clock with a balance wheel escapement.